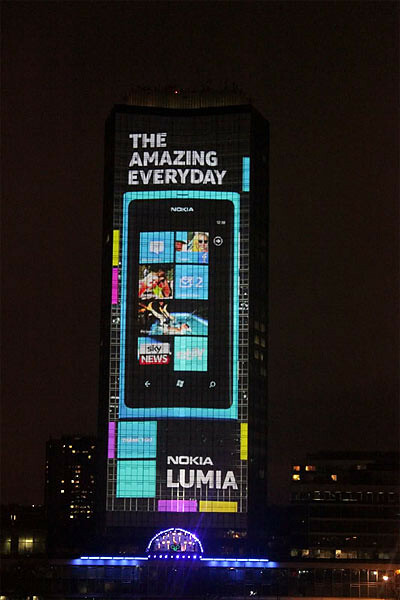 [Nokia Lumia Live] Nokia lights up London with 4D projection and deadmau5! As part of Nokia’s effort in promoting it’s Lumia devices, they have brought deadmau5 and the world’s most advanced 4D technology together and created an amazing free light show at Millbank Tower, London. 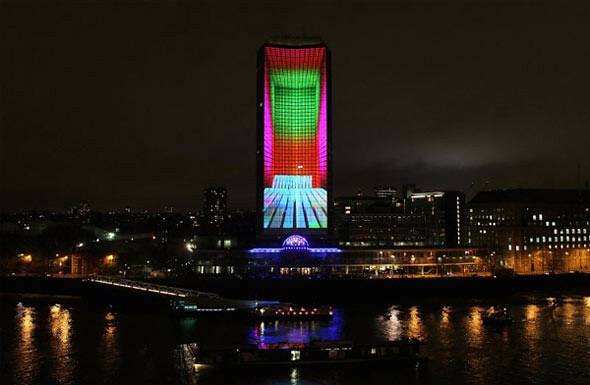 Millbank was plunged into darkness with the iconic tower acting as the canvas for a never-before-seen spectacular. Each of the 120 metre high building’s 800 windows were covered with vinyl as 16 powerful projectors, stationed 300 metres away on the other side of the river, beamed 3D images onto the structure. 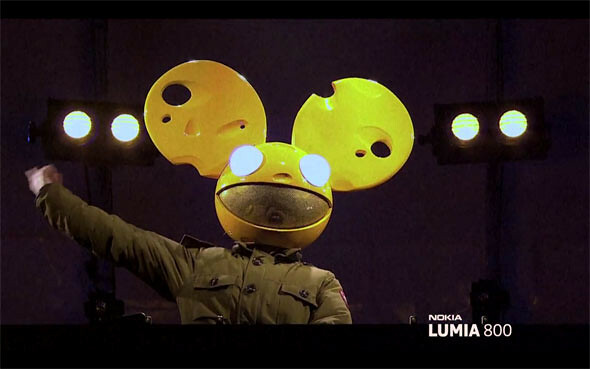 Billed as the “future of live events” the spectacular show was accompanied by music from super producer deadmau5, who created exclusive remixes for the performance — adding the 4th dimension.